If you like to be close to everything AND have the beach right out your back door, then the Martinique South is just the spot for your vacation! Located in the heart of Holmes Beach, you'll be able to walk to restaurants, shopping, the marina, the Post Office, the library...and the list goes on! When you're ready to explore a bit further, the free Anna Maria Island Trolley stops right by your door. The owners really treasure their Florida getaway; you can feel the happiness when you walk in the door! 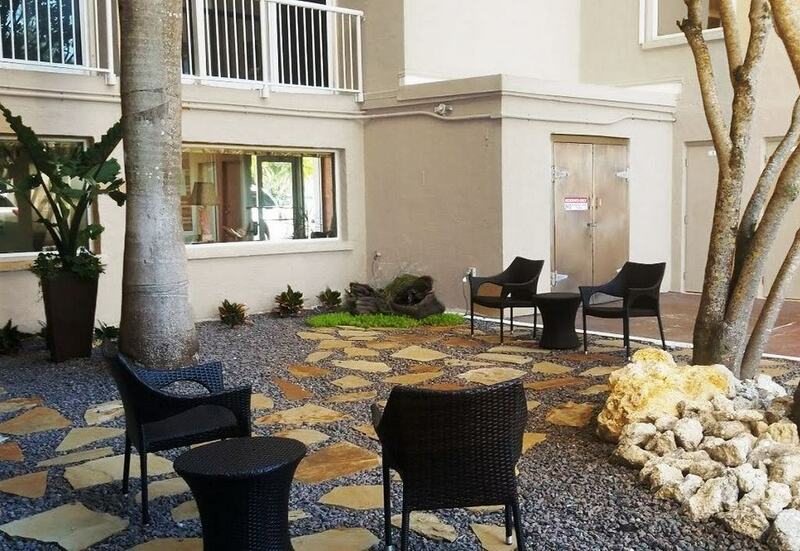 The first thing you'll notice is that this is an extremely spacious one-bed/one-bath unit, with over 950 square feet of living space in which to relax. The charming and comfortable tropical decor is the perfect choice for a unit from which you can see the sun, sand, and surf! The large galley kitchen has been completely updated and is fully equipped for meal preparation. A small table and chairs are intended to be taken outside the front door for breakfast or lunch overlooking the beach. The walkway along the front of the units is very wide, and with only one unit beyond this one you'll rarely have company. The refreshing breezes and heavenly view make this a very popular spot to sit and relax. 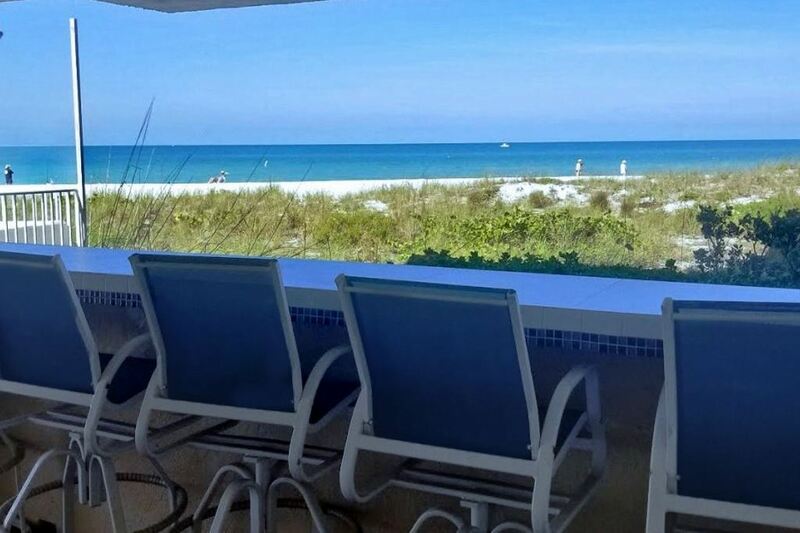 Both the living room and bedroom feature gorgeous views of the beach and the Gulf of Mexico - you'll be eager to get out there and enjoy yourself! In case you need anything besides the sun and sand, The Martinique offers its guests the use of its heated swimming pool, tennis court, and community room. Other amenities include assigned covered parking and a storage closet that the owners keep stocked with tennis rackets and beach equipment. Sleeps a maximum of 4 people in one king bed plus one sleeper sofa and one rollaway bed. Ask about multiple month rental discounts. Although the condo association requires a minimum stay of one month, the owners will entertain the possibility of shorter stays under certain circumstances. Please ask for details!